Statement ankle skimmer. 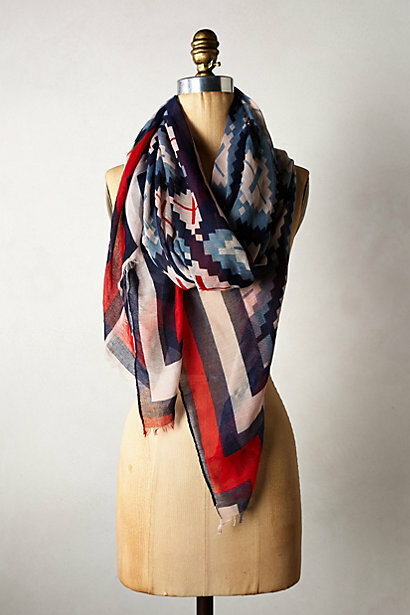 Boden USA. Was: $118. Now: $82.60-$94.40. Looking for a step by step guide to organizing your own clothing swap? How about Bluemercury Co-Founder Marla Malcolm Beck's essential products to treat your skin with love at every age? Perhaps you are interested in pairing bold prints this season but just feel a little overwhelmed by them. After all, Banana Republic is partnering with Marimekko. The newsletter can help. Trendy sandal $35.90, striped dress $19.90. Zara Kids. 2. Because there is nothing more gratifying than having an in. I heart Instagram. It's a great way to share experiences with friends and enjoy some great photos, too. The newsletter offers these benefits, as well. I know you like data, so I'll offer some facts to sway you. If you were on the email list, you were invited to an exclusive event at the Limited that included a steep discount, a little styling love and a drawing for a gift card. Another recent newsletter included a reminder of all the discounts you have access to as a Poplin reader. Invitations about exclusive events and tips on current styles all collide on the newsletter. 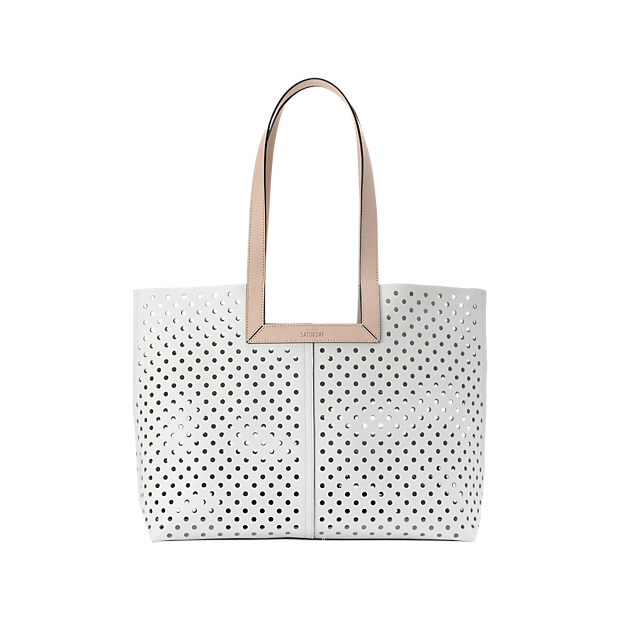 Kate Spade Square down perf tote. Available in white, black. Saturday.com. $170. 3. Okay, winning is actually slightly more gratifying. If you are on the Poplin email list, you are entered into regular drawings from local partners for super cool swag. Don't believe me? Take a look at some past winners. Personally, I'm especially excited about the upcoming drawing for a handmade bow tie from Winslow. If you read my post about Winslow, you already know what to do with that tie when you win. 4. Because I respect your time. Email can become overwhelming. I said it. That's why I send Poplin newsletters when I have so much information that I just can't fit it all into blog posts. I want to share a few special things with you, Dear Reader. And, the newsletter is how I do it. 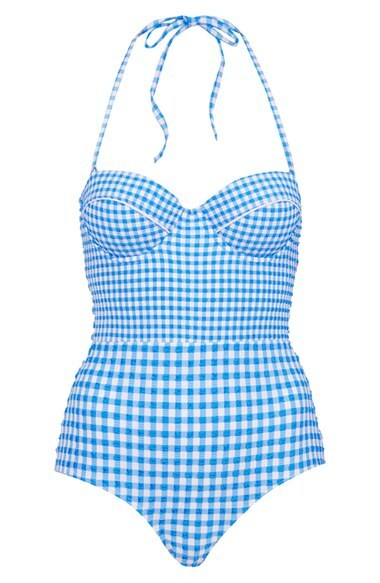 Topshop Gingham one piece swimsuit. Nordstrom. $72. 5. Because you’ll be a member of the Poplin Community. At Poplin, it’s all about building community. After all, the reason you want to look good is to feel good. It’s not about impressing others (although that’s a fun side effect). It’s about looking in the mirror and liking what you see, both inside and out. In the newsletters, you’ll discover ways to give back to the community, how to shop in a way that aligns with your values (value, sustainability, efficiency) and have opportunities to connect with other women around the world (thanks, internet!) who have the same goal- to look good, feel good and do good.